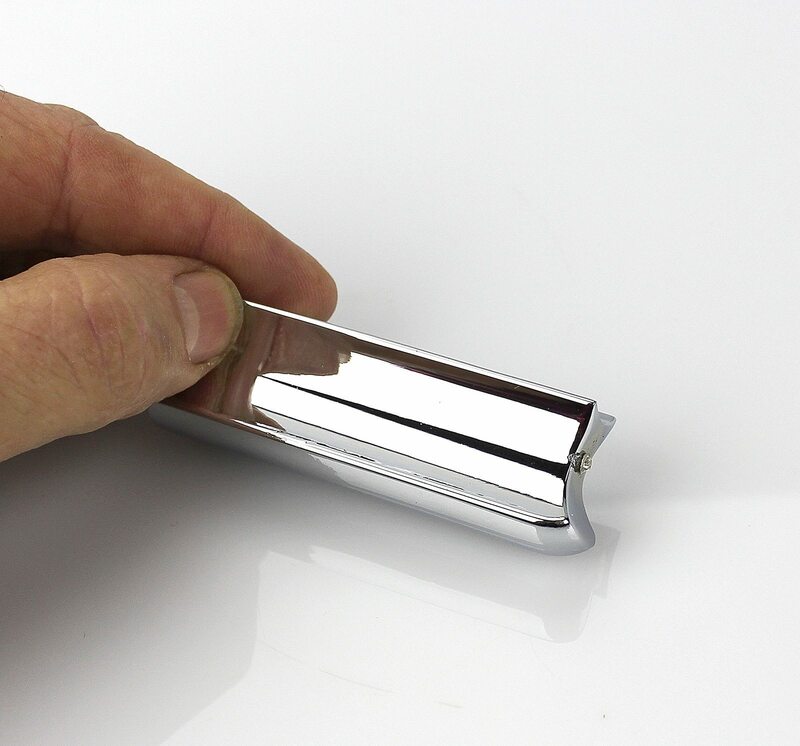 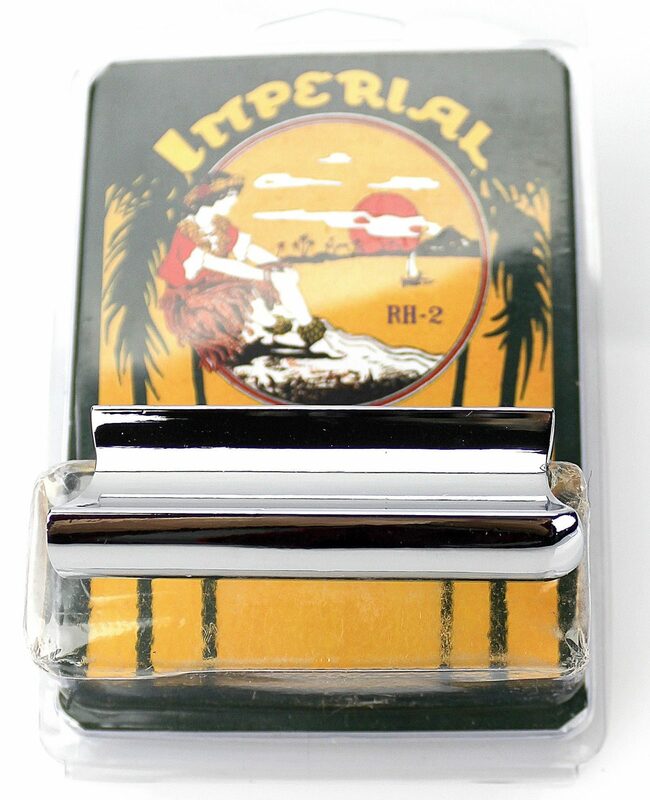 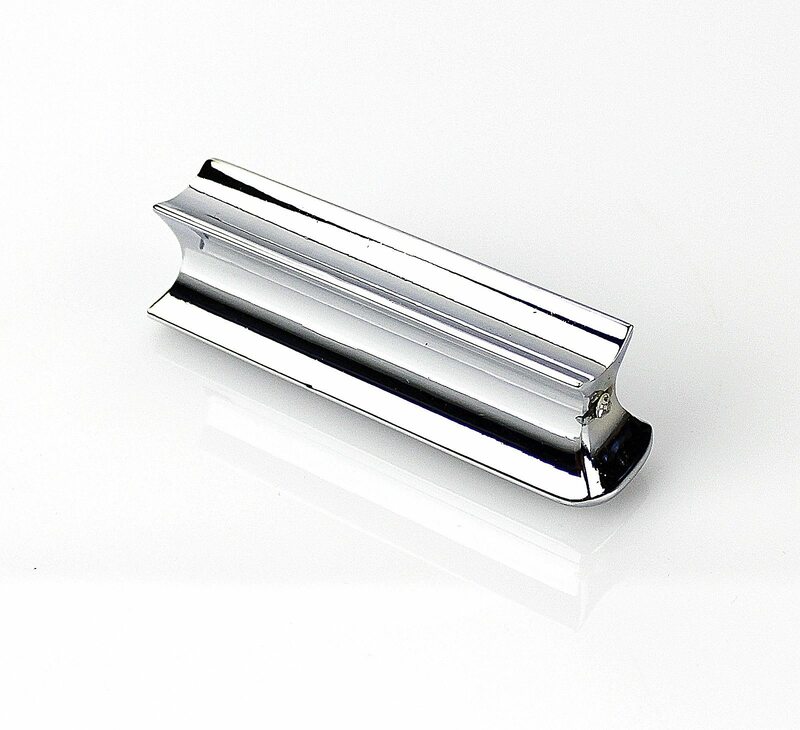 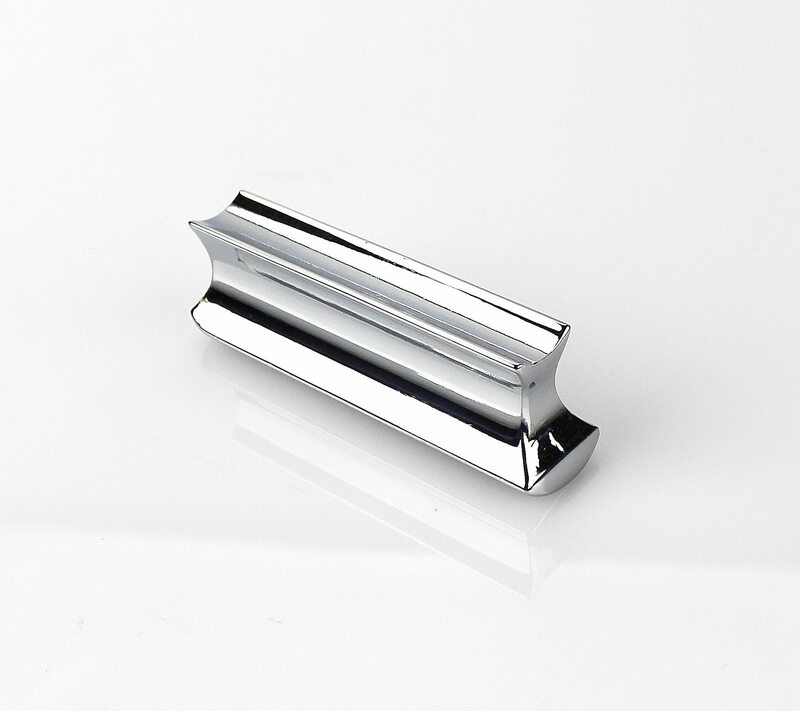 This is a steel or “tonebar” that uses the Stevens type design with the finger groove on the top, but adds a cutaway on the front end with a rounded nose. 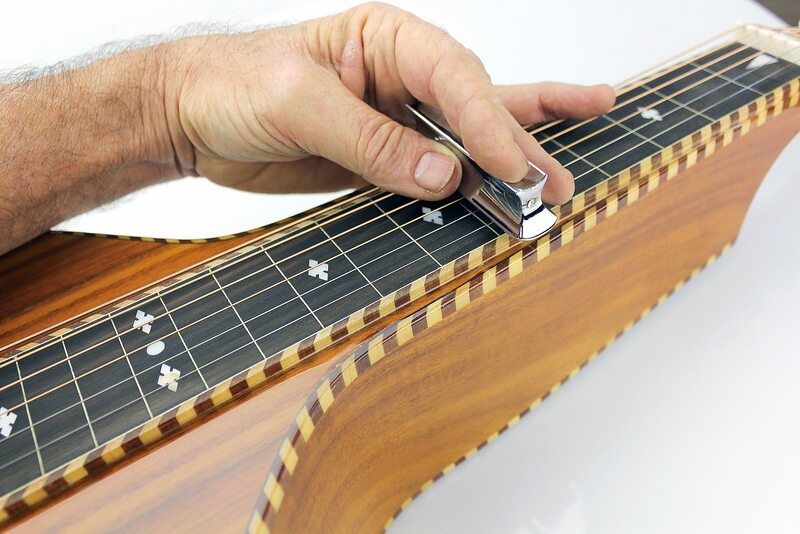 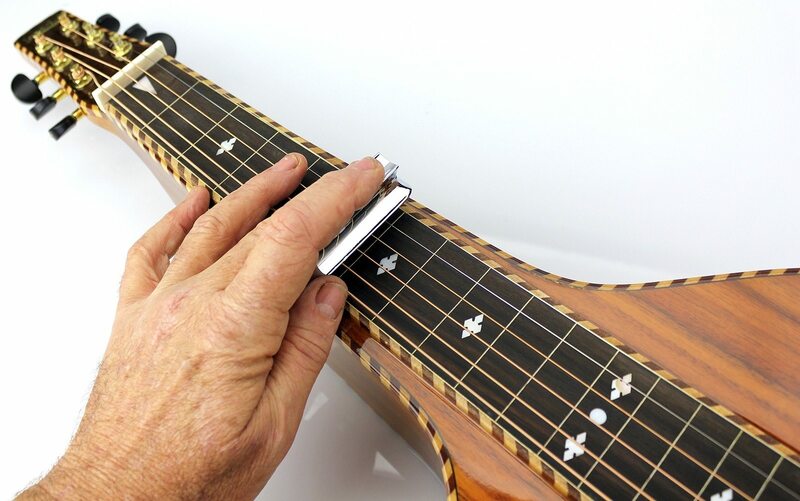 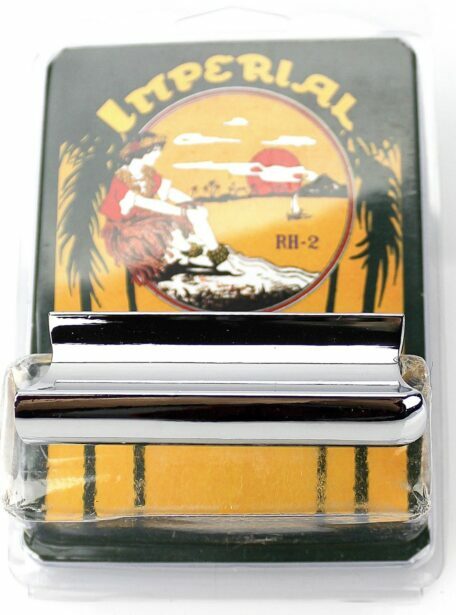 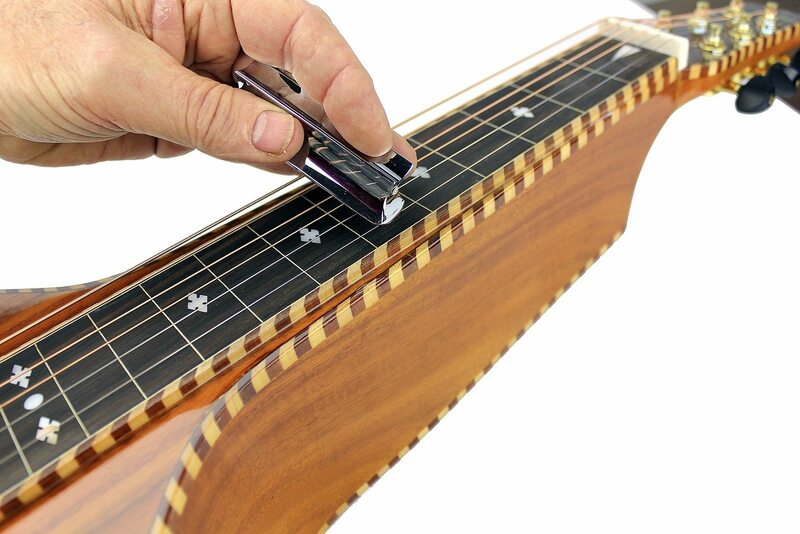 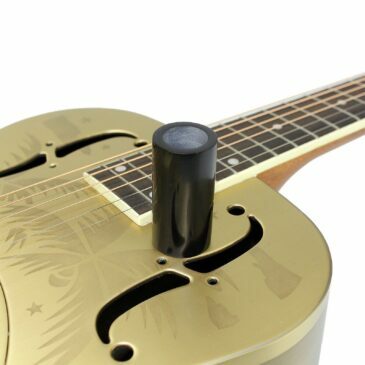 The advantage of this is that with the rounded nose the player can tilt the steel bar up and be able to cleanly and quickly play single notes on any string. 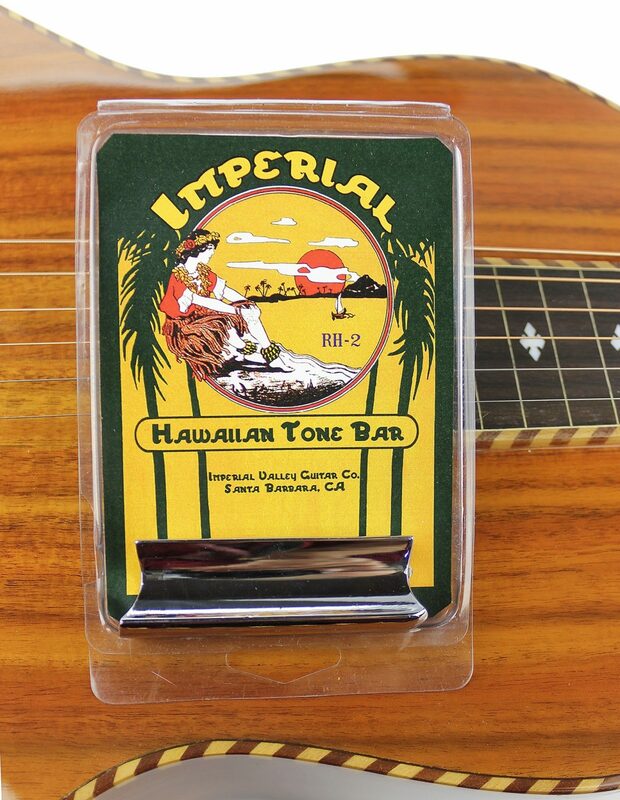 With a traditional square ended Stevens bar it is very difficult to play single notes anywhere except the very top or very bottom strings.